A 25-year stretch of medical malpractice came to a close after federal authorities revealed that a Maryland doctor used a false identity to secure board certification and other credentials. More than 100 patients have banded together to file a class-action lawsuit, alleging negligent oversight by the Maryland hospital who employed the imposter for five years. The imposter pleaded guilty to fraud charges back in November 2016. 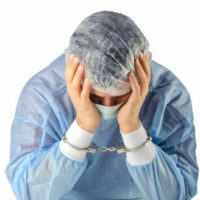 The imposter used at least three different fraudulent identities to secure a medical license and other professional qualifications. Federal authorities believe the imposter counterfeited or falsified his diplomas, transcripts and letters of recommendation. Additionally, the imposter maintained false documents for his passport, visa, birth certificate and immigration paperwork. In terms of background, the federal investigation established a troubling pattern for the imposter physician. After entering the United States on a nonimmigrant visa in 1991. Approximately one month later, the imposter created a false identity, using another person’s Social Security number and name. He stole at least two other people’s identities in 1995 and 1998. Then there is the matter of the Foreign Medical Graduate Certification, a required program for foreign professionals to practice medicine in the United States. The imposter failed this certification twice, in 1992 and 1993. It is true the imposter did eventually pass the Foreign Medical Graduate Certification. But the certifying organization revoked the imposter’s credentials in 1995, due to inconsistencies with his identity. Around the year 2000, the imposter was serving as a resident at a New Jersey hospital. But the hospital discovered a false date of birth and Social Security number. So the hospital expelled the imposter from their residency program. After applying for Medicare in 2012, the U.S. government also noticed the imposter’s false Social Security number. Despite this long-running practice fraud and deception, the Maryland hospital disputes responsibility or liability for the imposter’s actions. Representatives of the hospital pointed out that the imposter was licensed to practice medicine in Maryland for the entirety of his tenure. Additionally, the hospital claims to have verified the imposter’s credentials. Overall, the hospital argues that they reviewed the imposter’s credentials with a proper amount of due diligence. At this point, the class-action lawsuit will play out in court. Attorneys for the victims and the hospital will present arguments and evidence. Time will tell whether the hospital will face liability or responsibility for employing a doctor with a fraudulent identity. If you or a loved one is dealing with the fallout from medical malpractice, it is highly advisable to seek legal counsel from an experienced personal injury attorney. Don’t hesitate to reach out to Iamele & Iamele, LLP in Baltimore for assistance.